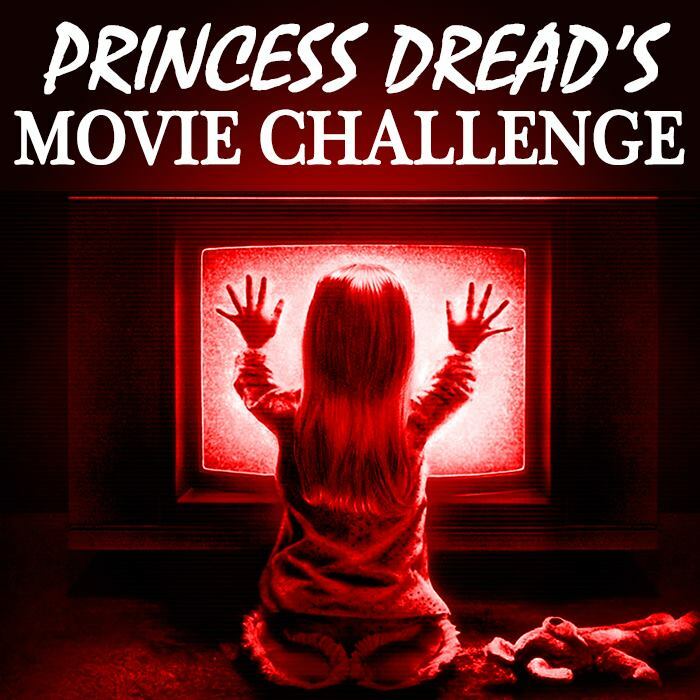 What’s better than mediocre modern horror? Super-trippy vintage horror! Good stuff. Seriously though, I had heard great things about The Cabinet of Doctor Caligari before finding it for realsies. It’s experimental film, which I’m usually down for. It’s also listed regularly as one of the most influential horror films of all time. Ebert called it the first one ever, which is good enough for me to include it. The gist: It’s another silent film, so brace yourselves, lads. It opens with a young man telling the story of his unfortunate affair with a man named Doctor Caligari. The Doctor was a traveling sideshow actor, whose act consisted of summoning a terminal sleepwalker to do his bidding. This sleepwalker literally could never wake up. But it could answer any question given to it by the audience, and would obey the Doctor without question. All fine and good, albeit creepy. the real trouble comes when the sleepwalker answers the the young man’s question about how long he will live. He is dead by dawn, according to the sleepwalker. Laughable! But then the friend turns up dead the next morning. Then another person does. Then, as what typically happens with these movies, mayhem ensues. What I “learned”: You really don’t need many special effects to make a good horror film. You just need a great story and actors dedicated enough to carry it out. This movie wasn’t made in an age where special effects could really be had. They couldn’t use CG in an effort to make a creepier sleepwalker or a darker night. All they had was makeup and very limited lighting. But it’s enough. Much like You’re Next and even The Blair Witch Project, the devil is in the dedication. A horror movie’s success hinges on its story, and after that the actors. That’s literally all you need. No rubber masks required. See this movie if you like: Horror movies that genuinely play with the plot. There are two major twists to the movie, neither of which I will reveal here. The first is fairly innocent. You may even find it clever by modern movie standards. But the second is a true mindf*ck. You will have no fun recovering from it, and you will not believe that this was made nearly a century ago and has hardly ever been replicated. But it’s fantastic. Avoid this movie if: There really is no reason not to. It’s short, it’s silent and it’s genuinely cool-looking. 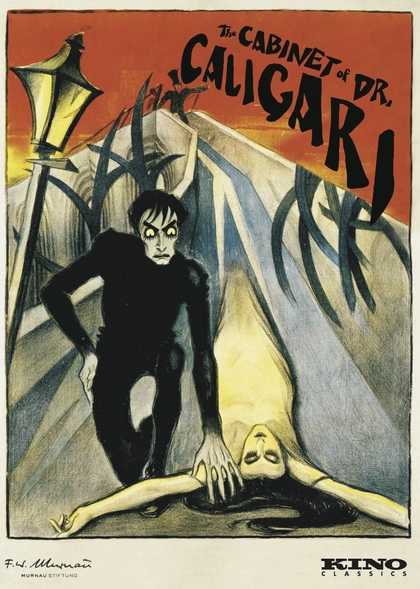 I know the German Expressionist label may scare some people off, but the art style honestly makes more sense with movie set design than it does with paintings. Especially in black and white! The shapes and dark lines are extra effective because of that. The German Expressionist art is just a way of making spaces convey the feeling of the scene at hand. It was probably a much cheaper way to convey space and depth than buying additional set pieces, which I will definitely never begrudge a filmmaker for thinking about. Don’t be scared. Just enjoy the ride.